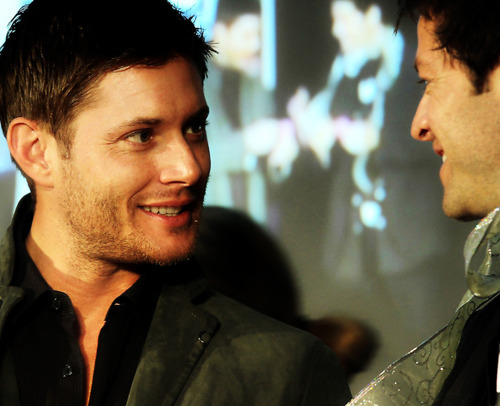 Jensen & Misha. . Wallpaper and background images in the Jensen Ackles and Misha Collins club tagged: misha collins jensen ackles jib con 2011 adorable.